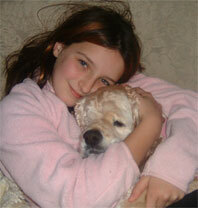 Carleigh is a young women who works hard to help pets of all shapes and sizes. How donations were used to help pets & animals! This section is currently being worked on. In the near future you will read remarkable stories about Carleigh, and her mother Ann-Margaret, who have work tirelessly helping animals in need from our community. Through their hard work, love and support, animals now have another support network to help them in times of crisis. 2004 Money raised to save B.J. Carlena Dowden is a 4th grade student with big ambitions and a bigger heart! 2006 Money raised to help Kailey. 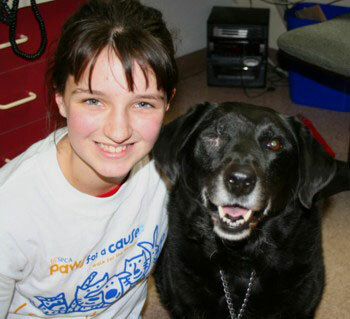 In 2006 Carlena helped raise the funds needed to help with another eye operation, this time for a beautiful loving lab named Kailey.